Last week we bought you the behind the scenes photos and footage of Lola Rae's second official video to ‘Fi Mi Le’, and today sees the unveiling of her hard work. ‘Fi Mi Le’ which was originally a leak, was loved so much by fans and supporters that it was pinned as a single and is the official follow-up single from her much loved debut ‘Watch My Ting Go’. 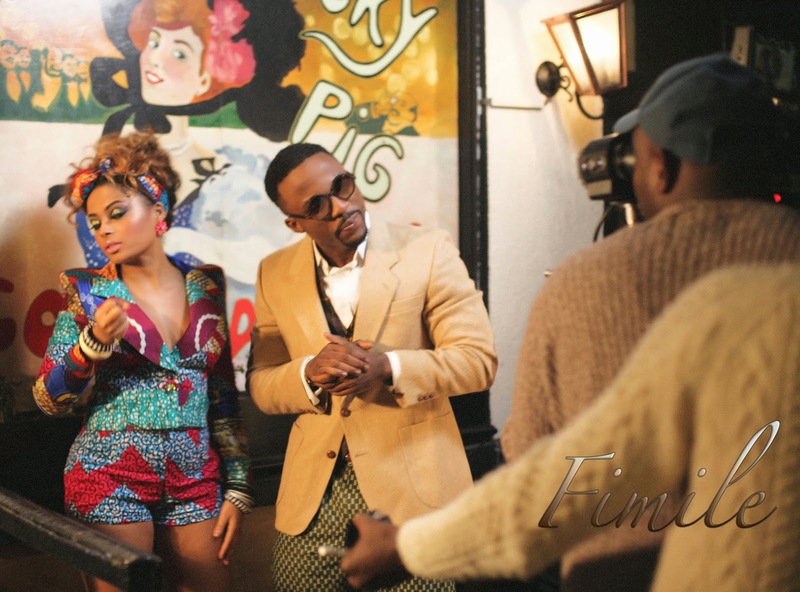 Featuring Iyanya, Lola Rae and her creative team bring us a new and exciting video shot in West London and is a Tatenda Jamera directed clip. Both embracing their African culture Lola Rae and Iyanya are seen in vintage-inspired clothing, Ankara prints and more colour popping pieces of clothing. The whole African concept of the video reminds me somewhat of the Yoruba's in Nigeria back in the 1980's. Lola Rae and Iyanya's on screen chemistry is amazing to watch, this video is a fun and lovable one. Don't you just love Lola Rae? Iyanya just won't leave Lola Rae alone in this new video. Watch how it all goes down below!